Innovative and truly delicious, Dry Fruits Paratha is whole wheat flour rotis stuffed with powdered dried fruits. 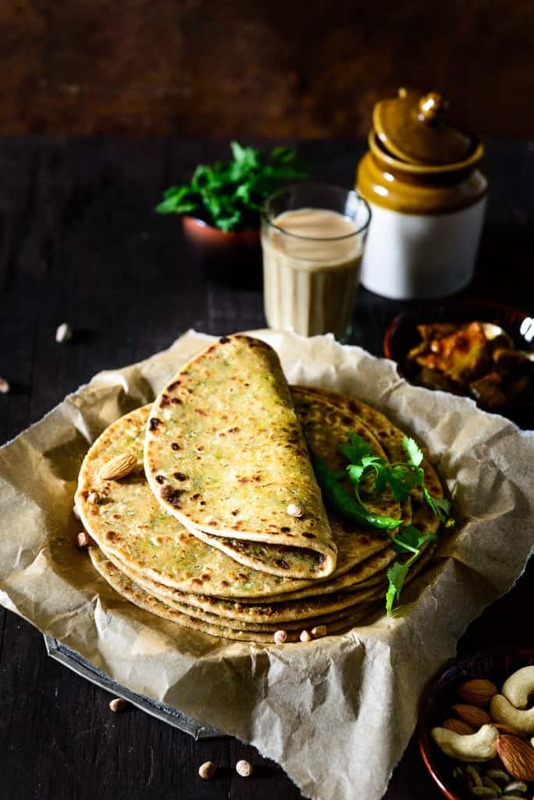 Here is how to make healthy dry fruits paratha. Innovative and truly delicious, Dry Fruits Paratha is whole wheat flour rotis stuffed with powdered dried fruits. 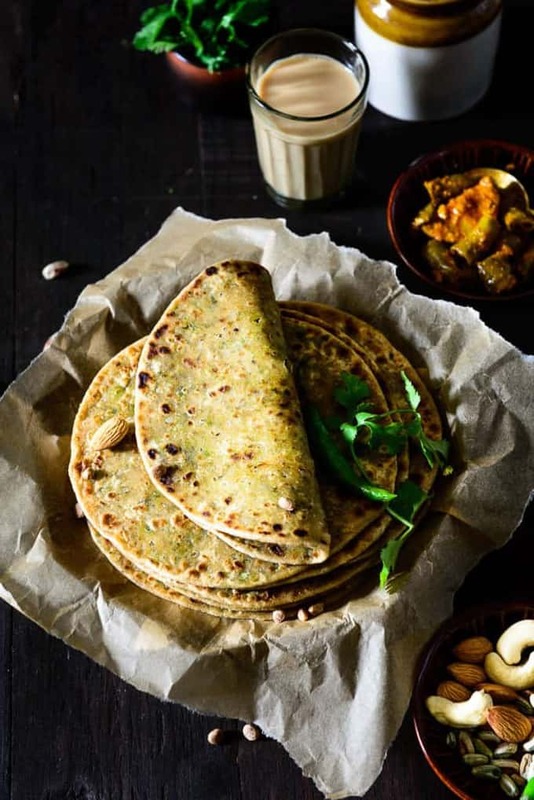 Unlike other parathas, this Indian flatbread is rich in vitamins and heart friendly. The parathas are also tasty and simply irresistible. Dry fruits are often used in desserts, but this recipe uses them in rotis with spices that exude a different taste. Also, these fruits enhance the fiber of the roti, making it a good option for diabetics and people with heart ailments. All of us wish for a tasty way to stay healthy. The dry fruits paratha recipe aims to give you exactly that. An amalgamation of two main ingredients – wheat flour and powdered dried fruits, this lip-smacking dish can be served for both kids and adults due to its range of benefits. Dry fruits are a good source of iron, calcium and vitamins which also boosts the immune system and gives you a glowing skin. All you need to do is divide the dough, roll it into discs and fill them with tasty dry fruits filling. Looking for a genius lunch box idea? You’ve come to the right place! 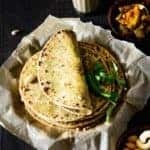 These parathas can be enjoyed with gravies such as Paneer Lababdar, Shalgam Gosht and even Dahi Wale Aloo. They can be made at anytime, enjoyed for breakfast or dinner and can even be enjoyed just as they are. Dry fruits are used in desserts, cakes and a wide variety of dishes. Here is how to make Dry Fruits Paratha Recipe. Innovative and truly delicious, Dry Fruits Paratha is whole wheat flour rotis stuffed with powdered dried fruits. Add whole wheat flour and 1/2 tsp salt in a bowl. Add water and make a soft dough. Add almonds, cashew nuts, pistachios and Chironji in a grinder and grind to make a smooth powder. Add raisins, salt, black pepper powder, coriander, boiled potato and green chilli and mix. Make small lemon size balls from the dough. Dust the balls with dry flour and roll to make a 3 inch circle. Keep a small amount of filling in the centre and bring the ends together. Dust and roll to make a 5-6 inch disc. Transfer the paratha on the griddle and cook till brown spots appear on both the sides. Apply ghee on both the sides and cook till paratha is browned. Keep pressing the paratha with the back of a ladle. One for me!! Thanks Neha. . This is sure a power packed meal without Hugh car potato filling..but need to be Lil cautious on the over Consumption of nuts. Portion size matters ofcourse!